Retrospect product training is designed to give you multiple ways through Certification Training, Tech Support Question & Answer sessions, One-on-One Advanced Trainings, and self-paced training “How to” videos trainings that can increase your knowledge, your skills, and best of all — your profits. Retrospect Product Certification provides your staff with sales and technical knowledge to better support your customers. Training consists of an in-depth 60-minute webinar. Partners who complete the program certification training requirements will receive Associate Partner level status including a web listing on retrospect.com, additional technical support options, free NFR copies of Retrospect, a Retrospect partner logo to use on their web site, sales and marketing tools, and deal registration. Partners that commit to a higher volume of business (per the Retrospect partner program requirements) will receive Elite Partner status including all Associate level benefits plus a higher level of visibility on the retrospect.com web site, extended support, lead pass, a Retrospect Elite Certified partner logo for use on their web site and sales collateral, and rebates of up to 5%. Contact your account manager at uk.sales@retrospect.com for more information. Join us each month as we cover a wide range of technical topics including product installation, configuring backup sets, working with clients, automating backups, common configurations, and reporting. A brief question and answer section will follow the presentation. All times shown are local times according to your browser settings. On May 25, 2018, organizations across the world that handle European data in the European Union need to be compliant with the General Data Protection Regulation (GDPR). This affects not only EU companies but any company that handles data for EU residents, even if the data processing occurs outside of the EU borders. The penalty for non-compliance is high: €10 million or 2% of global turnover for offenses related to data processing, security, and storage. Would you like your team to be trained on a specific aspect of Retrospect that you don’t see covered here? Let us know! Tell us what you would like to be trained on, how many people you would like to train, and what time frame would work well for you, and we will do our best to accommodate your needs. Click the link below to complete the Special Request Webinar form. 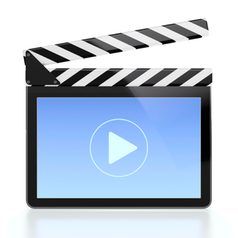 Watch brief, focused, videos to learn how to perform basic backup tasks.